The Trust is also citing “inflationary trend in the country in the past years” as another reason for the disposal of the properties. As a result, all persons occupying the two-bedroom housing units of SSNIT in any part of the country would have to cough out a staggering GH¢ 25, 000.00 (¢250, 000, 000.00) by November 30, 2010 or forfeit the property, which is less than four months. It comes at a time when the government is making strenuous efforts to provide decent accommodation to the people and reduce the housing deficit in the country. CITY & BUSINESS GUIDE has learnt that the SSNIT board has given its approval for the management to compel tenants in those housing units to pay the hefty amount before November 30, 2010. A notice sighted by this paper headlined, “Notice of offer for sale of SSNIT workers housing unit and review of sale value,” confirms that the decision to sell the houses, which has already been communicated to the occupants. It was signed by Baffour Akoto on behalf of the Legal Services Manager and copied to the General Manager/IDD and Properties Manager respectively. The notice cited “inflationary trends and the need to safeguard the trust’s investment in her real estate” as reasons for the decision. 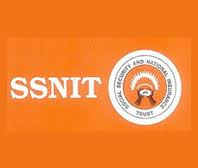 “Kindly take further notice that SSNIT has decided not to rent its flats or housing units anymore and has decided to divest or dispose off its interest in the said units or facilities to prospective buyers interested in purchasing same,” it noted.